From September 2017 through January 2018, in the spirit of nation-wide reconciliation, the Atwater Library hosted Atwater Reads the TRC. This was a guided community reading of the Final Report of the Truth and Reconciliation Commission of Canada to help build meaningful and open relations between Indigenous and non-Indigenous peoples in the Montreal region. 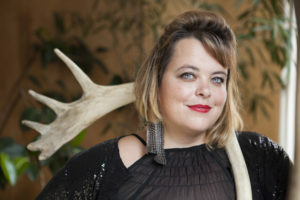 The co-facilitators of the reading series were Mi’kmaq poet and critic Shannon Webb-Campbell and settler scholar Dr. Sarah Henzi (Université de Montréal). The schedule of activities is below. Please scroll further down for photos. Funding was from the Community Fund for Canada’s 150th (a collaboration between Fondation du Grand Montréal and the Government of Canada) and the Cole Foundation. The Project Coordinator wrote a summary of our project and a Community Resource Document to help others contemplating similar activities. Please click here for the document. For the Atwater Library Lunchtime Series, Mi’kmaq poet and critic Shannon Webb-Campbell launched Atwater Reads the TRC and screened relevant films by Indigenous filmmakers produced by the National Film Board (NFB) – The Amendment by Kevin Papatie and My Name Is Kahentiiosta by Alanis Obomsawin. Library Executive Director Lynn Verge welcomed the 65 people in attendance, acknowledged the presence of Barry Cole, a trustee of project funder Cole Foundation, and National Film Board representatives Marianne Di Domenico and Élise Labbé. 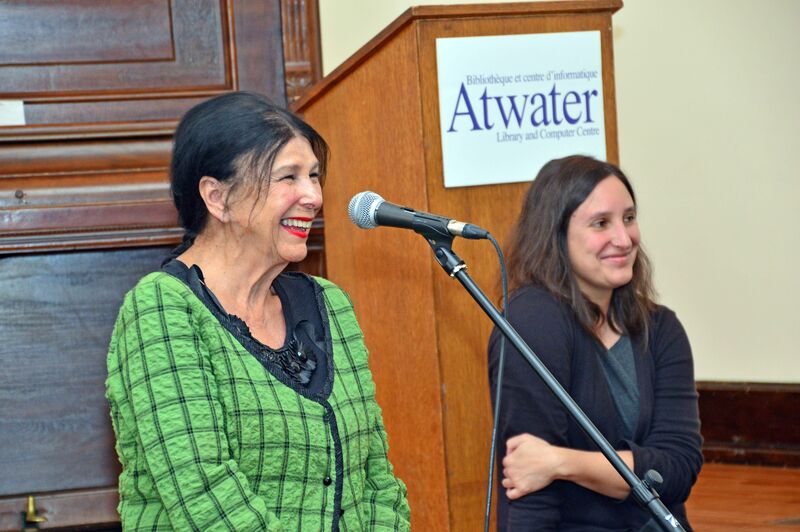 The audience was thrilled that Alanis Obomsawin was present and took part in the Q&A at the end. When the distinguished Abenaki filmmaker arrived, the Library Director paid tribute to her and presented her with a bouquet of flowers. The launch event included a display of books and DVDs in the Atwater Library’s new Indigenous Collection. Shannon Webb-Campbell and Sarah Henzi facilitated group conversations based on readings, section by section, of the summary volume of the Final Report of the Truth and Reconciliation Commission of Canada. This 2015 report contains 94 Calls to Action to address the legacy of Canada’s residential school system. The Library provided a copy of the summary volume to each registrant. Performance by Metis musician Moe Clark. Abenaki filmmaker Alanis Obomsawin and reading series co-facilitator Dr. Sarah Henzi at the project launch, August 31, 2017. Photo credit Martin C. Barry, Westmount Independent.